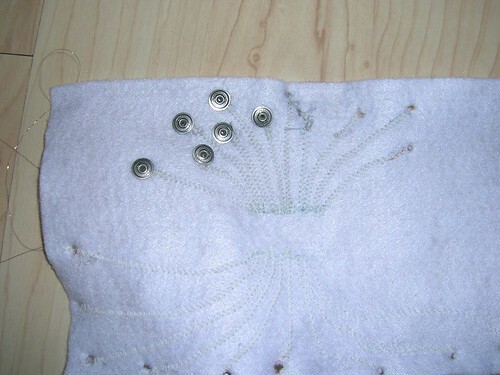 Today we put in snap buttons as connection to a textile bus into the prototypes. We figured out that we have to work with straight lines to connect to a textile bus. The snap buttons are a neat thing for the children to work with. For the production it means a lot of manual labour. 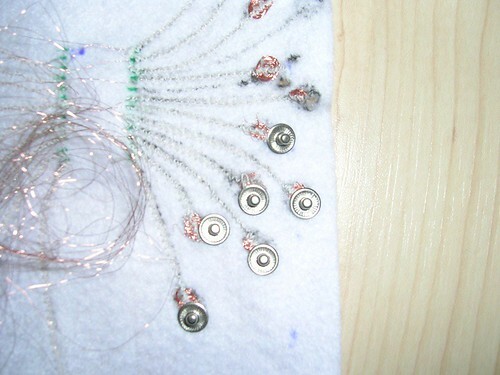 The idea was to have snaps on the textile pcb and on the patches plus a snaps set with tool to put them in in the toolbox. Unfortunatly the snap boxes with the tools are really expensive.